Although it is Hardrock/Progressive Rock Band of Indonesia, only the tape is released and, moreover, the most has become the present out of print.Moreover, since there is extremely little information, the career and discography of a band are unknown.If some more familiar ones come about this band, please inform me here. The site of Indonesian Rock of Mr. living NAGATA in Jakarta.The information which utilized the merit of local living for full is precious.(. which is under pause now though regrettable) The plog レッシヴ Locke situation of Indonesia at the site of the hips who had you write to Guest Book.It is deep. As were written also to the beginning of this page, and most CDs were not circulating, it thought whether acquisition would be impossible, but it obtained at last! It is almost the same as no less than the two title tapes before introducedin contents.However, KESEMPATAN, SATU NUSA SATU BANGSA, and GONG 2000 that were inserted in last theme are excluded from Part2.In a hidden jacket Having written it as A Private Collection is that there is possibility of boot if it carries out whether it is such series by accident? It was a panel [ this ] っけ thing anyway.Again, I am indebted to Mr. Kota サウンズ.Sound quality is good and I want it to put Laskar on CD by all means at this tune truly.Well, even if waited, GONG 2000 IN CONCERT was before played on the deck of the car with unavoidable one, and the tape was involved, and from a serious experience, it is also for safety and CD-R-ized Laskar for the time being.A jacket is such touch. 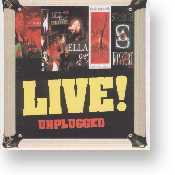 This is what and VCD in which the live was mentioned! And it is karaoke.Therefore, it is dissatisfied that vocal comes that it is obstructive that words are displayed only out of the right channel.A thing with each one music scattering at a time is also slightly regrettable.The volume of a keyboard is too large a little, and it wears in the sound of a guitar, and also worries the thing which is feeling.Isn't there any video?But it will be small if just compared with the value of the real live.A main member is an appearance which feels annual rings after all.However, the inside 々しっ loan of the performance is carried out, and song selection with the deep Locke color is also good.9. is the a cappella centering on a twin drum.It is kind because Laskar is not recorded on other ライブモノ, either.Recommendation. Although a title is already deplorable, it is a BLACKBOARD label affiliation musician's VCD for karaoke.therefore, most -- pop in -- ドネシア music which it divides and comes out and is called also in GONG2000 CINTA YANG HILANG with the color thick also in the newest album is chosen.However, it is a heavy crop that there is also a performance scene perfectly and a sight by which they move is caught.He was youthful fairly and it was more unexpected than the figure imaginative from the age guessed from a career.There can also try to be no problem of NTSC in if it is PAL in case of VCD, and it realized facilities anew. 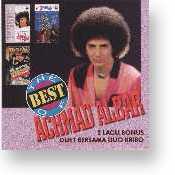 It is the best album which collected solo 作 of ACHMAD ALBAR.This is a dangdut subject as to what kind of の is done by coming out.it obtained and was doing 〜 ん and such things.However, is that there is a portion which is not with where and whose twist was effective also into the style of dangdut small self-assertion?While there is also atmosphere of the dangdut style, there is 汎 Asian atmosphere, and RajaKumbangin which Guitarist Ian Antono was involved also into such music is a unique result from the whole route. This is the past of GONG2000, and 1st album of the 1975 release of GODBLESS.I did not think obtaining such a thing by no means.From GONG2000 of now, Progres of the contents is carried out to the extent that it cannot imagine.Although such Guitar Solo, such as the 1st music, comes out and it can observe having studied Progres in Europe of those days, not a copy but the already original sound is never made.I think that it was successful to develop a symphonic performance in it though the musical instrument currently used is simple.In case of the knowledge of Italian Progres like me, if called "70 Band of Italy of the obscurity of s", it is likely to believe.Amazing One. It is sorry that it is not an original concert to be what gathered up the acoustic thing from the live album of the artist of BMG Malaysia.However it may see two music, KEPADA PERANG, and SEMUT HITAMof GONG2000 in which wonderful one was mentioned here, they will be hard to be referred to as unplugged.According to the credit of this CD, that seemingly these two music is seemingly a thing from an album called GONG 2000 INDONESIA TOUR seem to be the possibility size of another sound source, and CD sound source moreover carried out perfectly considering sound quality with the live tape which has come to hand now.CD that there is a mere thing [ that short sale was carried out ] which this wrote also to the beginning?It met with モノ which is got hooked on depth again.Since it is called the Malaysia work, overall contents are the ballade centers of sultry touch.Wonderful, if it is also referred to as wonderful that GONG 2000 of Indonesia is recorded here why. Even if it is two series things, since the inclusion time per one is short, the number of music hardly changes also to one lower sheet.It is whether for the cause [ that it is a little rude ] to be also here, and to exceed the atmosphere of the live, although sound quality is also almost the same.It is new their theme song and that instrumental called GONG 2000 is recorded.Unknown whether it is what was performed live, since sound quality differs from other music.When carried out by accident, were flowing on the tape as ending of a concert.Although inclusion time is not described, it seems that the lower live is differed from so temporally from neither eye music nor the turn and the arrangement which are performed nor advance. Although this band has how much regular album or it is unknown, the remarkable album may be released if the music which the sound source obtained in this way does not repeat with a best thing etc. unexpectedly also sees a certain place comparatively.now, this live recording -- truly bigger-scale than a studio board -- it carries out, the arrangement of a シンフォ systemis made in long ANAK ADAM, and it is heard, and is a thing.In BARATIMUR, Synth. of the Gumrum soundcurrently used by LASKAR also appears.Guitar Solowhich makes the scale of gamelan consider after all is also inside 々聞 or せます.It is fairly nice although mind somehow like the sound of a harmonizer system is carried out also about a chorus.However, although the studio board was also worried, a thing with ドラムス weak for this type of a band is regrettable.A keyboard is touch are not too bad.Mr. Alberto Nucci of Arlequin also understands that the live had said that it was the best.Of course, in the settlement as an album, it is LASKAR. Any longer, it is not found to the extent that he cannot but think that the sound source of GONG2000 the very thing cannot be obtained.Or [ although it is said that he certainly buys it in case of the talk heard by Garden of Osaka written also to the beginning when it carries out to purchase to a spot and is found to it, / it is hard to find it gradually also there and has been becoming recently ].The result which may be called duet album came out and although Achmad Albar is a thing of the form which carried out guest participation at the album of a female vocalist called Nicky Astria, found it this time.It is the sound of a popular system using the string in contents, and there is also music which is regarded as whether it is a sound track of the latest Disney anime.as [ lead / to the music of Malaysia / especially the direction of Nicky Astria ] -- also slightly sultrily a certain ballade is in the mainstream -- especially -- how -- .Although the direction of important Achmad tells the music from which atmosphere is different even in Kon in the acoustic back, it is far from Locke after all.But making the sound of the whole is a thing of 々 while the arrangement which was prudent till the fine place was made. When he bought the tape of pop in ドネシア, music called SUDAHLAH AKU PERGI of Achmad Alber was contained.The woman of a jacket is not necessarily in an all-songs song.It will be the same that the direction of such jackets attracts the public notice too also in what country. (Smile) Well, since it was an album of pop in ドネシア after all, it was petty music, but since the sound source of a favorite's GONG2000 has not obtained at all the place here, also let it be means for it to have turned out that the lead vocal is living. (Bitter smile) Incidentally, pop in ドネシア is the music of a popular system sung in Indonesian, and it is the music of a type which appeared to は or intermediary あった "world song festival" mostly. The omnibus thing which is often in Indonesia. In this, three music, PAK TUA, KEPALA DUS, and MA'AFKAN, is contained. Moreover, the solo of Achmad Alber of the lead vocal is also contained. 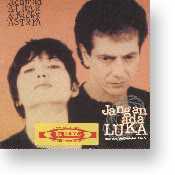 Lagu is Indonesian and it msean "song". Now, it turns out that seemingly it is the best containing 20 music. The first independent album to get. From the beginning, something begins from a thing like the message of Kagura court dance and musicof Japan, and expectation and uneasiness collect what kind of deployment it really becomes.However, the worries will also have blown away, if two music Sakka's album title music LASKARstarts.The sound which sound of Indonesian calls it the vocal of ダミ voice like Italian just for a moment, does not have with where, and does not get refined is as if [ it is completely comfortable and ] it is hearing イタアン Progres, although the sound of gamelan is mixed with the sound of the band.as for B-4Polusi, the shout of the kecak has melted well -- carrying out -- B-5 SETAN JALANAN-- inside 々 -- a speedy performance is told.A-3 is music of the beat [ of the 70s ] pop style, and is Good.Moreover, if it becomes a ballade, atmosphere like Melayu peculiar to Indonesia will drift, and they are those peculiar with atmosphere.It is finished in the sound which has originality to the extent that a Japanese band is not careless, either. 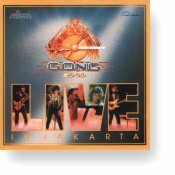 It is a solo album of Achmad Albar of the lead vocal.A variegated sound is made to hear from this album to the extent that the vocalist of a ROCK band cannot be thought.